The best way to describe Green Oxygen Ayurveda Beauty & Wellness Studio would be to say that it is the one holistic wellness centre that makes indulgence, convenient! While keeping a focus on therapeutic relaxation, Green Oxygen Ayurveda Beauty & Wellness Studio offers stress relieving massages and treatments through its team of expert masseurs who come with years of experience. 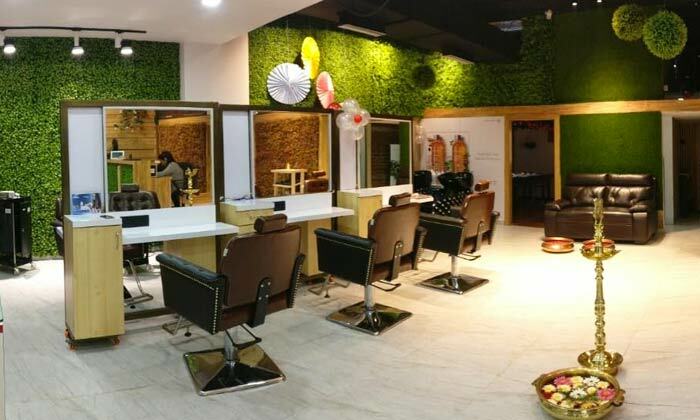 Using a range of Ayurvedic products, the wellness studio also offers some well crafted salon services as well. So fight off that fatigue and say goodbye to stress and look fresh and revitalised by heading to the only station the derails the monster train away, Green Oxygen Ayurveda Beauty & Wellness Studio!